All teams participating in Indian Premier League have the best combination of players. Mumbai Indians and Chennai Super Kings are the most successful teams of IPL so far. They had won the title of this league for three times each. Kolkata Knight Riders is the second most successful team with tow title on their name. Rajasthan Royals won the very first IPL title back in 2008. Deccan Chargers were the champion of 2009 IPL season. Deccan Chargers which later became Sunrisers Hyderabad had also won the title of Indian Premier League in 2016. All major today match prediction providers are saying that Chennai Super Kings will be the champions of IPL this season of 2019. When we compare all teams, we can see the Chennai Super kings is a much better side among all others. They are lead by the most successful captain of the world, MS Dhoni. They have the good combination of batting and bowling. Almost all players who are the part of this team, had performed excellent in last matches they had played. Chennai Super Kings are the most successful of Indian Premier League even after they faced a ban for two years. They have the three IPL titles on their name. Shane Watson, who had a smashing hundred in the final of last season, is also part of this team. Faf Du Plessis, Suresh Raina, Ambati Rayudu are the key batsmen for Chennai Super Kings. Royal Challengers Bangalore are still searching for the title of IPL. They qualified for the final three times but they could not win. Virat Kohli, who is the number one batsman in alomost all formats of cricket, will be leading Royal Challengers Bangalore. Shimron Hetmyer, AB De Villiers, Umesh Yadav and Moeen Ali are the part of this team. Kolkata Knight Riders had been the chamions of Indian Premier League for two times. Dinesh Karthik will be leading this team. They also had the best players of T20 cricket in their side. They players like Chris Lynn, Sunil Narine, Kuldeep Yadav, Carlos Brathwaite, Andre Russell, Harry Gurney will be playing for this team. Sunrisers Hyderabad had won the title of Indian Premier League back in 2016. They are the runner up team of the last edition. Kane Williamson, the former captain of New Zealand team will be leading Hyderabad for this edition. David Warner, Martin Guptill, Shakib ul Hasan, Manish Pandey, Muhammad Nabi, Rashid Khan, and Yusuf Pathan are the key players of this side. 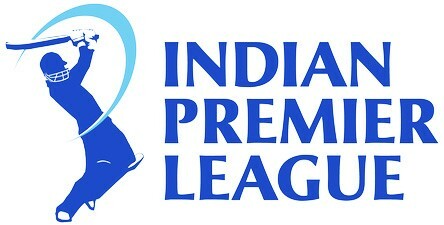 Mumbai Indians is the second most successful team of Indian Premier League. The also had the three IPL titles on their name. Rohit Sharma, the opening batsman of Indian national team will be leading Mumbai Indians. The big and famous names of T20 cricket like Evin Lewis, Yuvraj Singh, Krunal Pandya, Kieron Pollard, Quinton de Kock, and Ben Cutting will be playing for Mumbai Indians. Delhi Capitals know as Delhi Daredevils had not won any IPL title. They also are the strong side of this IPL edition. Colin Munro, Chris Morris, Axar Patel, Trent Boult, Kagiso Rabada and Prithvi Shaw are the players who will play a key role for Delhi Capitals. Shreyas Iyer will be leading this team. Rajasthan Royals won the very first title of Indian Premier League in 2008 but after this, they could not even qualify for the final. Ajinkya Rahane will be leading this team for this edition of IPL. Steven Smith, Liam Livingstone, Ben Stokes, Jos Buttler, Ish Sodhi, Jofra Archer and Riyan Parag are the strength of Rajasthan Royals. Kings II Punjab were the runner up in Indian Premier League 2014. They had no any IPL title on their name. Ravichandran Ashwin is the captain of Kings II Punjab. Chris Gayle, David Miller, Karun Nair, Nicholas Pooran, and Mayank Agarwal are the key batsmen of Kings II Punjab while Mujeeb Ur Rahman, Andrew Tye, Mohammad Shami, Hardus Viljoen, and Arshdeep Singh are best bowlers for Kings II Punjab.